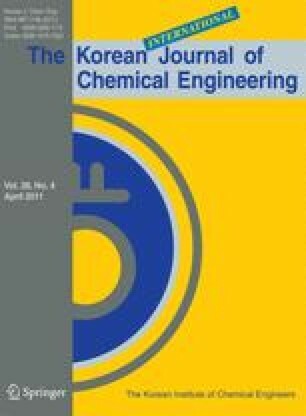 Thermodynamic analysis of the correlation of H2S and COS has been carried out at the temperature range of 400–650 °C at which high temperature desulfurization of coal gas is usually performed. The correlation of the two sulfur species is mainly through the reaction H2S+CO→COS+H2. Simulated coal gas with the following composition CO 32.69%, H2 39.58%, CO2 18.27%, N2 8.92% and H2S 0.47% was used in this study, and the equilibrium concentrations of the two species at different temperatures were calculated. The results of Fe-based sorbents during sulfidation were compared with calculations. It is concluded that the above reaction may reach equilibrium concentration in the presence of the Fe-based sorbents, which means the Fe-based sorbents may effectively catalyze the reaction between H2S and CO. Because of the correlation of the two sulfur species, both can be effectively removed at high temperatures simultaneously, offering high temperature desulfurization some advantages over low temperature desulfurization processes.